Constructor declarations are similar to method declarations. 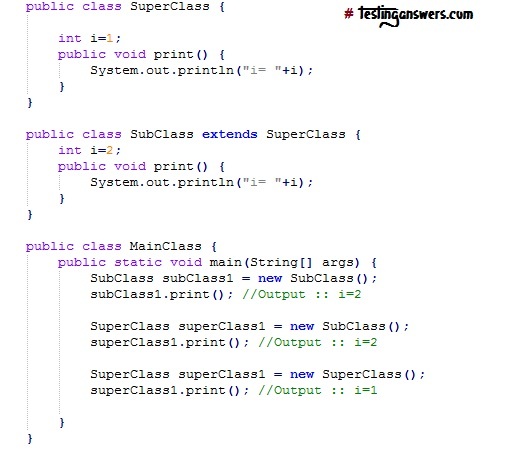 However, constructors name must be the same as the class name and it cannot return a value. 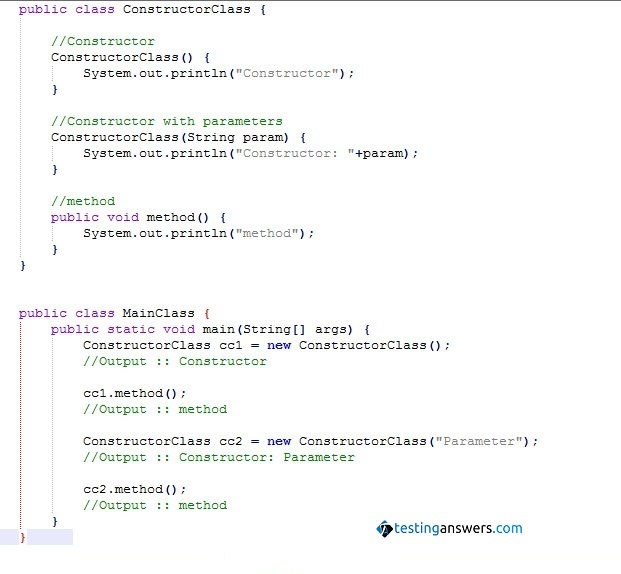 The main objective of a constructor is to set the initial state of an object. When the object is created by using the new operator. 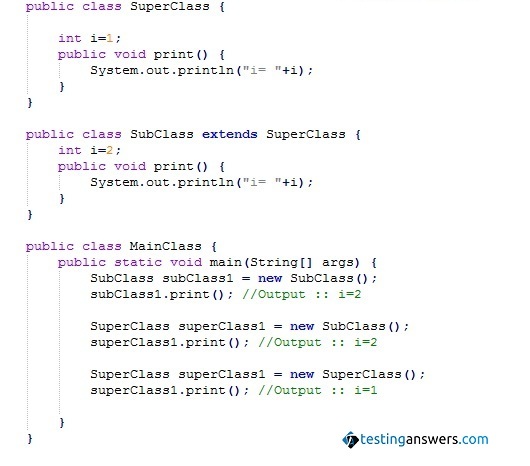 The following code shows how to declare constructors with and without input parameters. 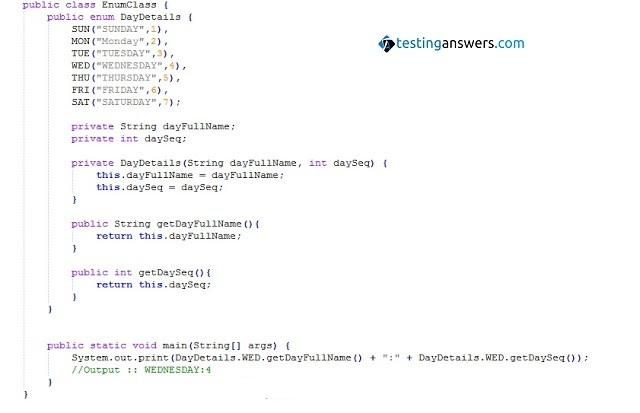 Enum is a Java keyword used to represent a fixed number of well-known values. For example, the number of days in a week, the number of planets in the solar system, etc. Example 11.2.1 Simple enum of weekdays. Java provides six language constructs to tranfer control or exit loops in a program. break ...statement terminates a loop. 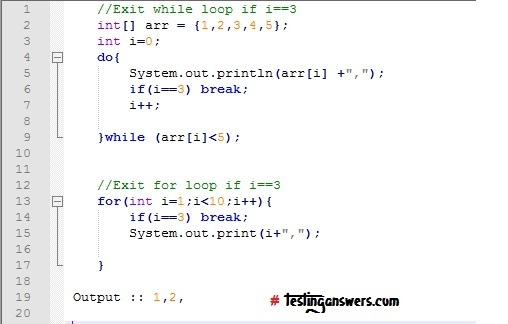 For example, the following code showed how to terminate a while and for a loop. continue ...statement exits the current iteration and starts executing the next iteration. 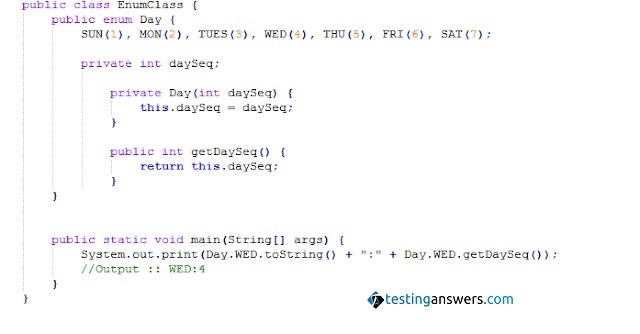 For example, the following code prints all numbers except number 3.
return ...statement stops code execution of a method and transfer control back to the calling code. 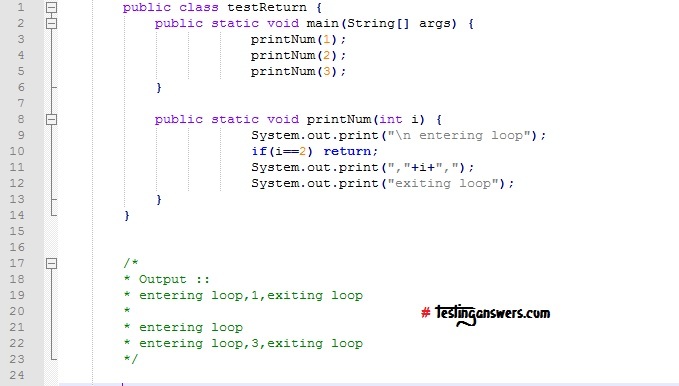 assert ...statements are used to validate the assumptions made about the program. Assertions are expected to be true when assert statement are executed. In case it is false, the Java Virtual Machine (JVM) throws a special error of AssertionError class. Assertion error are not handle but allowed to propagate to the top level. Note: Assertion facility can be enabled or disabled at run-time. If disabled, assert statements are not executed during run-time.